Preparation for Text Completion and Sentence Correction problems tends to be centered on studying vocabulary and on learning how to extract context clues and predict the meanings of the blanks accurately. On the GRE, the short- and medium- length passages frequently test principles of argumentation. Argumentation on the GRE refers to the task of supporting a claim (conclusion) with facts provided to back it up (premises). 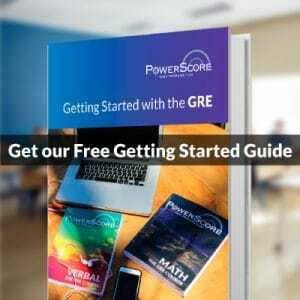 It is essential that students master the fundamentals of argumentation to succeed on the GRE, both on the Verbal sections and on the Analytical Writing Measure. These GRE short- and medium- form reading comprehension questions, which test argumentation, also follow set patterns. At PowerScore, we group them into four families based on task and flow of information. On the GRE, the “Prove” family is the most common, followed by the “Help” and “Hurt” families. “Disprove” questions are rare. In addition, on recent GRE tests another question type, Evaluate the Argument, has become more common. This question combines features of the Help and Hurt families. We discuss it in depth here. 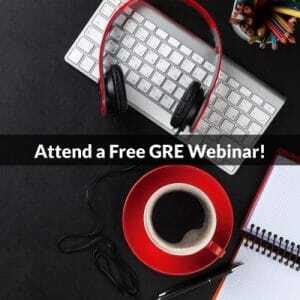 If you have more questions about GRE preparation, we encourage you to register for and visit our free GRE forum, where you can receive expert advice and answers to your GRE questions.